How does $10,000 toward college sound? Applications for the 2018-2019 Prairie Trail Scholarship are now closed. Watch Prairie Trail social media for the scholarship recipients awards and banquet to be announced. With the Prairie Trail Scholarship Program, residents of the Prairie Trail neighborhoods are eligible to receive up to $10,000 in scholarship funds. The purpose of the program is to provide scholarships to students pursuing a college degree. 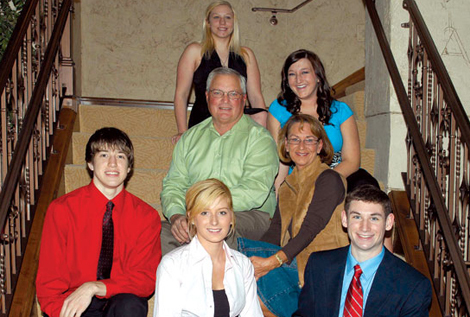 The Prairie Trail Scholarship Program, established through the generosity of Dennis & Susan Albaugh, demonstrates the family’s commitment to education and to the community of Ankeny. Scholarship applicants will be eligible for a maximum lifetime award of $10,000. Preference will be given to students who reside in the Prairie Trail Development, as well as to those students who choose an institution based in Iowa. The Albaugh Family has committed $100,000 as the initial deposit into the fund. Since 2008, more than $235,000 has been awarded to residents of Prairie Trail. The fund is self-sustaining as one half of one percent of the sale of all property in Prairie Trail is allocated to the Prairie Trail Scholarship Program. The scholarship fund is yet another way that the Prairie Trail Development is redefining community living. 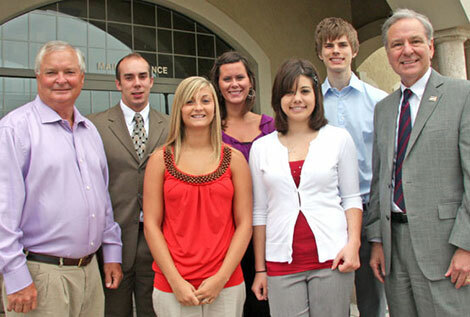 Pictured from L to R: Sydney Downing, Zachary McKee, McKaylin Noltensmeier, Jonah Plummer, Olivia Slater, Blaine Hawkins, Alyssa Parker, Dennis Albaugh (Prairie Trail developer), Rob Denson (DMACC president), Leah Hill, Raegan Moeller, Kelly Lindaman, Brett Guy, Sarah Gubbels, Zane Johnson. 2017 Prairie Trail Scholarship recipients not pictured: Joseph Cardamon, Kelly Current, Renee Gookin, Hannah Johnson, Brooke Osburn, Chelsey Stephenson, Darian Swinehart, Collin Urquhart. Pictured from L to R: DMACC president, Rob Denson, Nathaniel Moore, Brooke Osburn, Jack Buttjer, Michael Woods, Kathryn Miller, Dennis Albaugh, Sydney Downing, Raegan Moeller, Sarah Gubbels, Kristel Schultz, McKaylin Noltensmeier, James Ellwanger. Winners not pictured: Kelly Lindaman, Chelsey Stephenson, Collin Urquhart, Olivia Slater, Hannah Johnson. Pictured from L to R: Madeline Wignall, Olivia Slater, Dennis Albaugh, Susan Albaugh, James Ellwanger, Kristel Schultz, Gina Snuttjer and DMACC president, Rob Denson. The 2015 Scholarship award winners are pursuing degrees in a variety of fields of study, including aesthetics, criminal justice, educational leadership, aerospace engineering and law. Pictured from L to R: Gina Ann Snuttjer and her family, Kristel Kautzky, Jonathan Dahlman, Issac Dahlman, Jon Lindaman and Cassidy Brown. Not pictured: Josh Woods, Collin Urquhart, Jenny Montange, Kayla Bock and Alex Eaton. Read more about exceptional education in the 2014 Prairie Trail magazine online edition here. We’re proud of the outstanding education available to Prairie Trail residents, located right in the development, across the city of Ankeny and the state of Iowa. At the 2013 Scholarship Recognition Dinner. 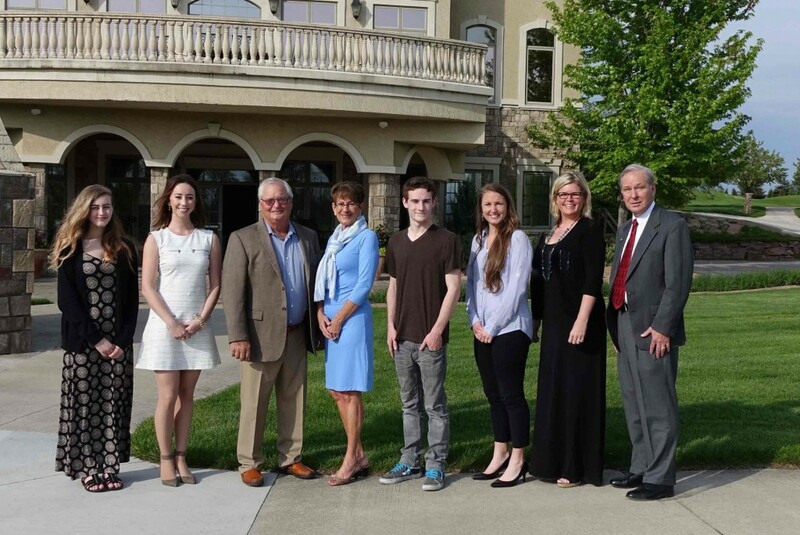 From left: DMACC President, Rob Denson, Madeline Wignall, Issac Dahlman, Collin Urquhart, Hannah Johnson, Albaugh Inc. President, Dennis Albaugh, Jon Lindaman, Cheryl Cardin and Jenny Montange. Read more here. 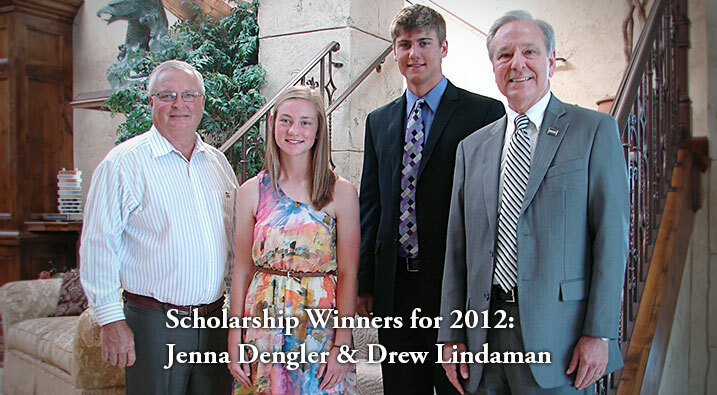 2011 Scholarships were awarded in May of 2011. Read the article here. 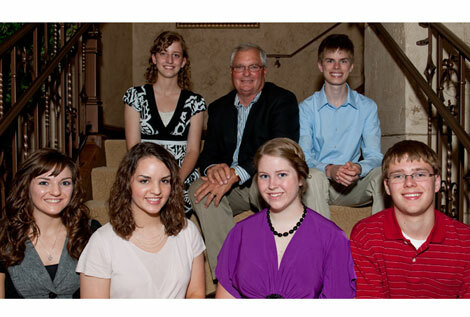 2010 Scholarships were awarded May 5, 2010. Read the article here.